Let’s clarify some things here, before we expose another dirty little secret highlighting the shortcomings of the influence business. One thing to get straight is what Elephant Thinking is and what it is not. It is not a joke. It is not philosophical mumbo-jumbo highlighted by wind chimes and jasmine incense. Elephant Thinking is a term that comes from the very real practice performed by circus trainers to train their elephants. In essence, trainers tie a rope on a young elephant’s leg, so the elephant can’t move. 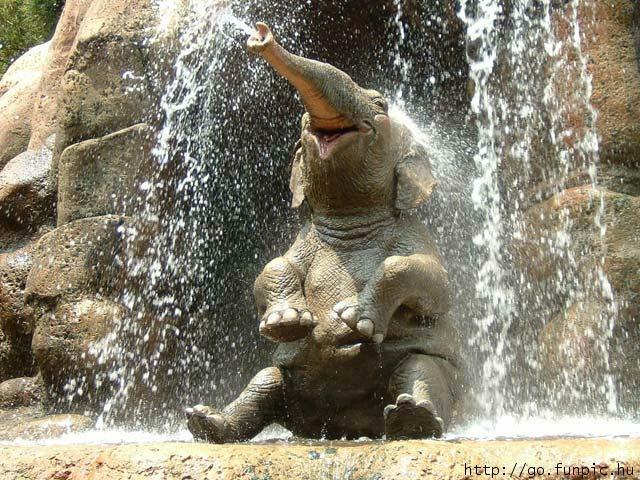 Because the elephant possesses a brilliant memory, when he is older and bigger and stronger, it remembers this lesson. So, when a trainer wants the elephant to stay still, he simply ties a string around its leg, the elephant remembers the rope experience, and therefore, does not even attempt to move, even now, when it could break the string very easily. Fact is, its past experience influences and overwhelms its current behavior. Best practices? Transformative creativity is supposed to be based on originality and surprise. How can we do what everyone else is doing and break through emotionally and memorably in a unique way? Creative best practices, are simply lazy and safe formulas that act as a crutch for weak creative, so if the work fails there’s always “well, we followed “best practices.” Isn’t formulaic creative execution to be avoided at all cost? What’s going on here? Breakthrough creativity cannot follow a formula. Everyone can’t be beautiful or ugly. There are shades, nuances, grey areas to explore and execute with a memorable twist of phrase or a delicious visual surprise that expose a relevant and motivating idea. Now, I’m not saying throw all “best Practices” out the window when it comes to producing stories that help brands stand out. Best practices for media and for SEO and SEM and for social media platforms seems more than feasible and smart to me. To reach the audience a formulaic approach based on analysis and algorithms are helpful. After all, statistics inform consumer media behavior. The point I am belaboring here is that the art of creativity cannot be color-by-number, simply because we can’t measure what moves the heart of the consumer. We do know it takes the art of storytelling, to influence purchase decisions and grow brand affinity. If it is the time for science to understand human motivation, which is fomented in the heart, then the last bastion of craftsmanship will leave the industry and be replaced by algorithms and statistics. Wait algorithm’s replacing imagination? What, are we in the Twilight Zone? 3- Learn from the past, but don’t let it limit you. This entry was posted in blog and tagged Steve Biegel. Bookmark the permalink. ← Looking for a solution? Look inside the problem. 3D thinking is here.